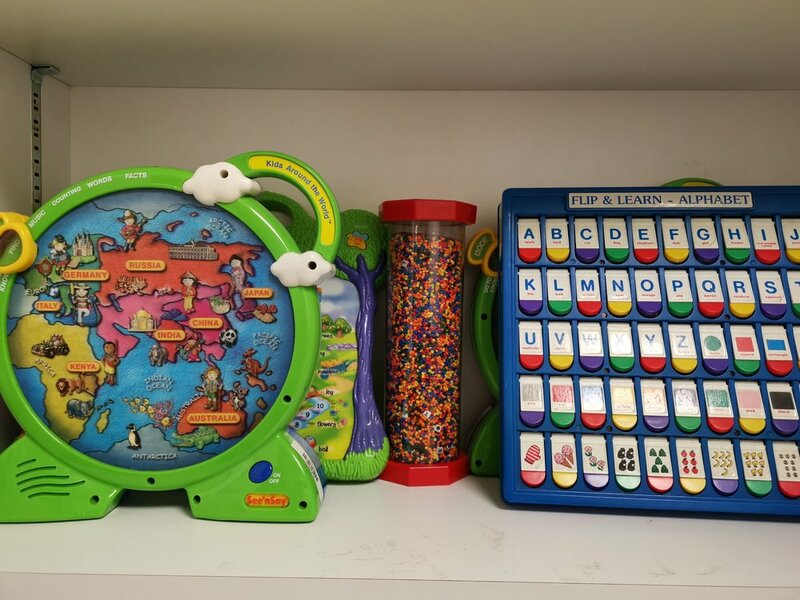 At the toy library, you and your children can choose from over 2,400 quality toys, games, kits, puzzles, and play equipment to borrow just as you would borrow books from a library! An annual membership fee of $35 includes borrowing privileges and access to our Makerspace. An annual membership fee of $35 provides borrowing privileges and access to the Makerspace. To become a member, call 519-434-3644, email or visit us. For more information, please see our Membership Guidelines. The benefits of borrowing vs. buying are two-fold for most families. First, not buying something comes with the obvious advantage of not having to spend money on something your children will rarely use. Second, not buying every game and puzzzle under the sun allows you to decrease clutter and simplify your life. If you are borrowing the same toy over and over, that’s a sure sign you are safe in buying it. 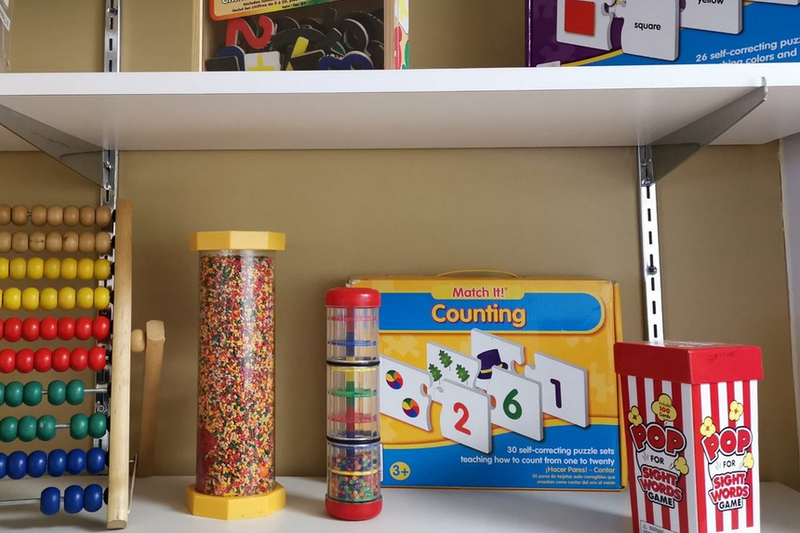 For the price of one toy, you will have access to over 2,400 quality, educational resources including toys, puzzles, games, large play equipment, kits, and so much more! Toy Libraries are community builders. When you borrow from a library, you are saying yes to everyone else in your community having access to the same things as you do. When you borrow toys, take time to talk to your kids about the fact that they are sharing these toys with the other kids in their city and why this is important. Teach & Play is a lending library and resource program for children 2 to 15 years of age who have an intellectual disability. The Teach & Play Coordinator provides opportunities for families to experiment with a range of toys and activities individualizing the play to the developmental level of the child.